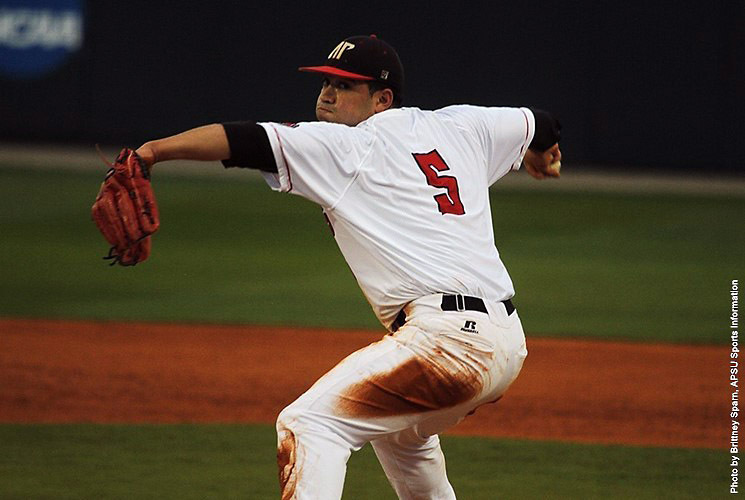 Richmond, KY – The sixth inning proved the demise of Austin Peay State University’s baseball team as it dropped both ends of an Ohio Valley Conference Saturday doubleheader, 8-5 and 9-8, against Eastern Kentucky at Turkey Hughes Field. 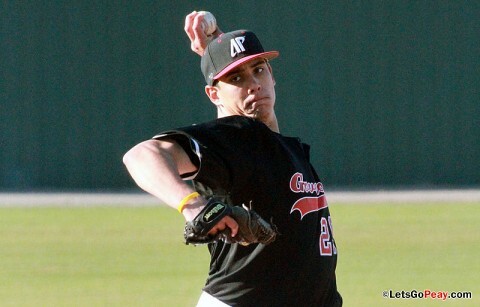 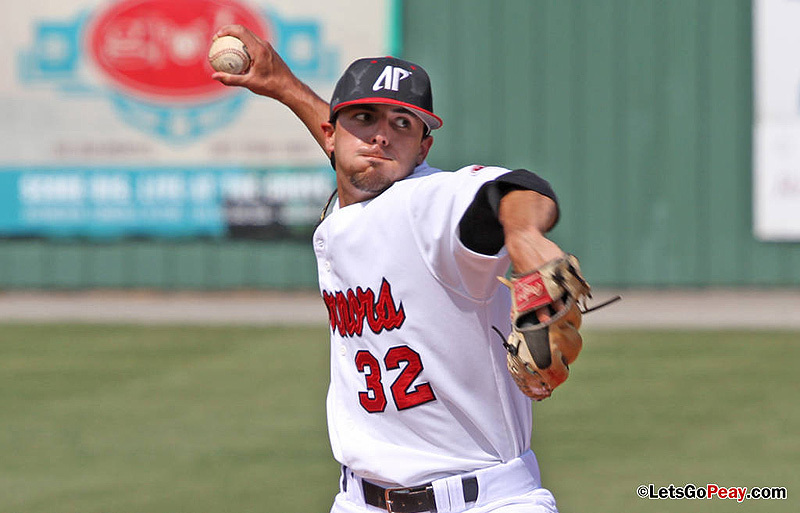 Richmond, KY – Starting pitcher Alex Robles put together another quality start and got a ton of run support as Austin Peay State University’s baseball team posted a 17-3 Ohio Valley Conference victory against Eastern Kentucky, Friday night at Turkey Hughes Field. Richmond, KY – The unfriendly road awaits Austin Peay’s baseball team as it treks to “Death Valley” for a three-game Ohio Valley Conference series against Eastern Kentucky, Friday-Sunday, at Turkey Hughes Field. The Govs and Colonels will start the series with a 5:00pm (CT), Friday contest followed by a 3:00pm, Saturday contest and a noon, Sunday affair. 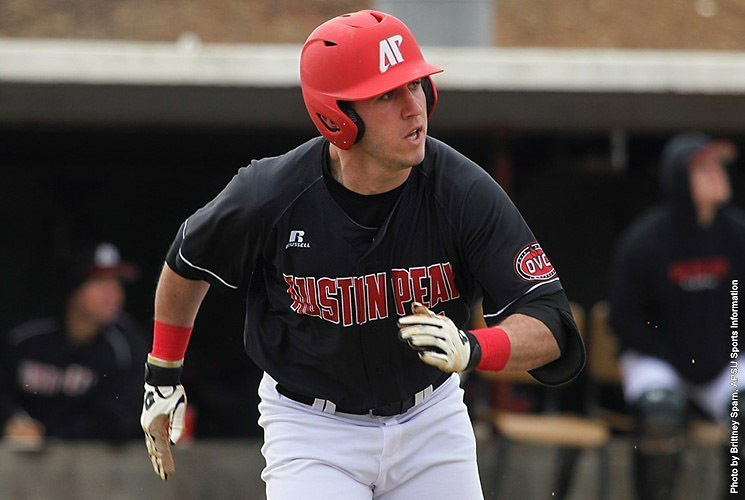 Richmond, KY – Austin Peay State University remained unbeaten in extra inning affairs this season, scoring three runs in the 10th inning to secure a 9-6 Ohio Valley Conference victory against Eastern Kentucky, Saturday, at Turkey Hughes Field. 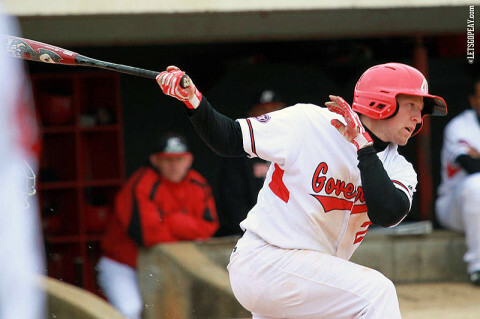 Richmond, KY – Austin Peay State University’s baseball team settled for a split of its Ohio Valley Conference doubleheader at Eastern Kentucky, dropping the opener 2-1 before winning the nightcap 10-8, Friday at Turkey Hughes Field. 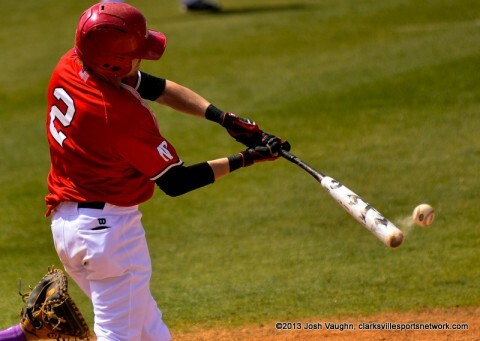 Richmond, KY – Riding a four-game win streak, Austin Peay’s baseball team will hit the road for a critical Ohio Valley Conference series at Eastern Kentucky which will begin with a 2:00pm (CDT), Friday contest at Turkey Hughes Field. 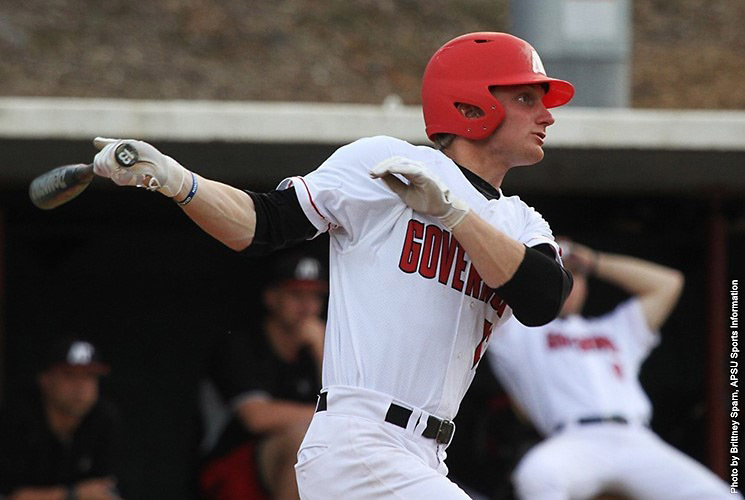 The Govs are seeking to keep pace with OVC leading Belmont and Jacksonville State which sit 2½ games ahead of the Govs with four weeks remaining. Richmond, KY – Austin Peay State University’s baseball team broke out the bats and starter Casey Delgado threw a complete game in an 18-2 Ohio Valley Conference victory against Eastern Kentucky, Sunday afternoon at Turkey Hughes Field. 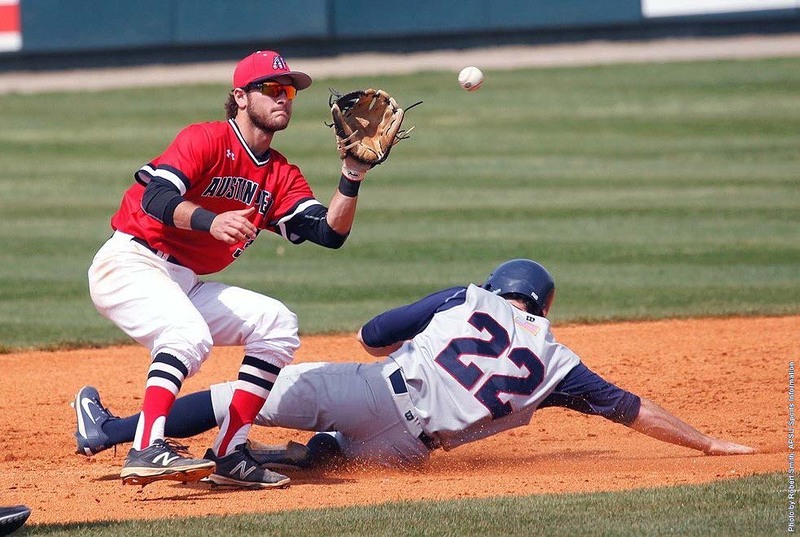 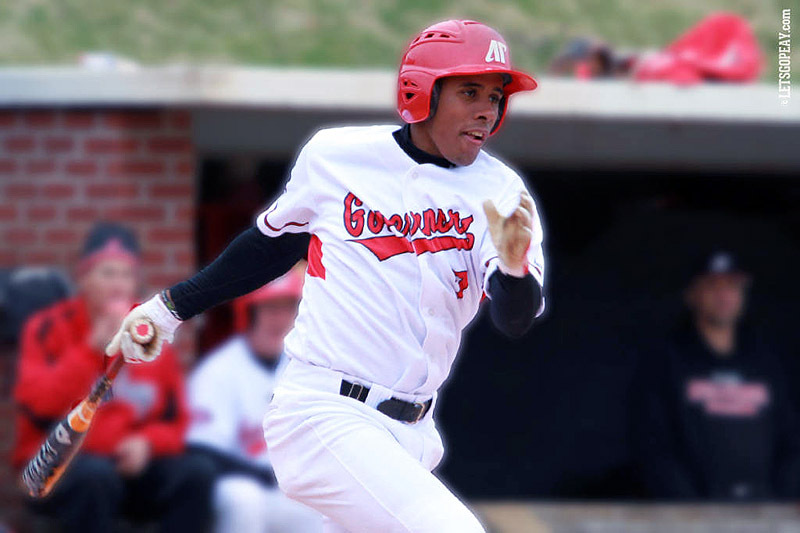 Richmond, KY – Austin Peay State University’s baseball team saw its defense betray it late in an 7-6 Ohio Valley Conference loss to Eastern Kentucky, Saturday afternoon at Turkey Hughes Field. Richmond, KY – Shortstop Reed Harper capped a six-run sixth inning with a three-run single and Austin Peay State University’s baseball team held on for a 10-9 Ohio Valley Conference victory against Eastern Kentucky, Friday afternoon at Turkey Hughes Field. 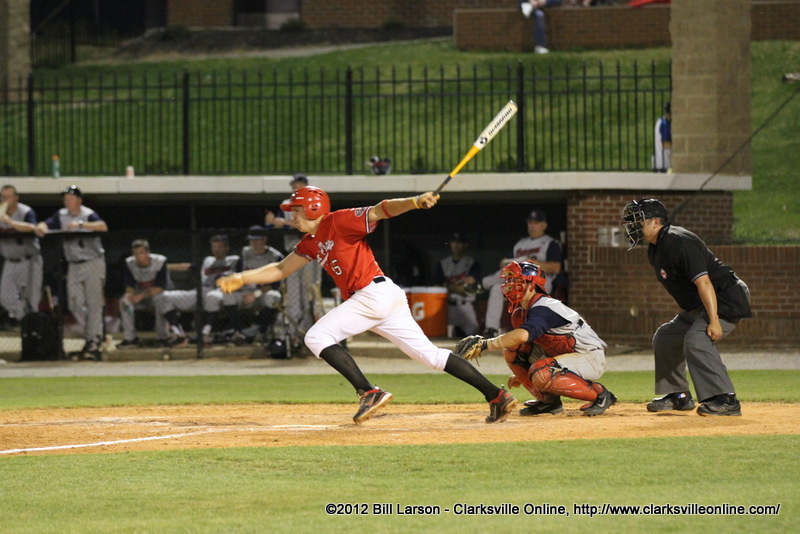 Austin Peay Shortstop Reed Harper hits a single to drive in three runs in the Governors win over Eastern Kentucky, Saturday afternoon. Austin Peay Baseball.